Ron and Maggie Tear Photography: Giraffe Diner. 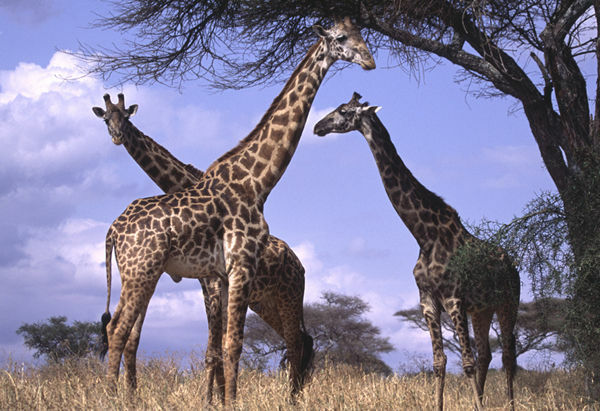 Arcacia tree provides nourishment for this trio of Giraffes. A moment to savour. Tarangire Nt Pk, Tanzania, Africa.